The degree audit, or What-If (WHIF) Report, describes your progress toward earning a degree or certificate at Great Basin College. It compares the requirements for a specific degree to the courses that you have already taken, and in which you are currently enrolled. 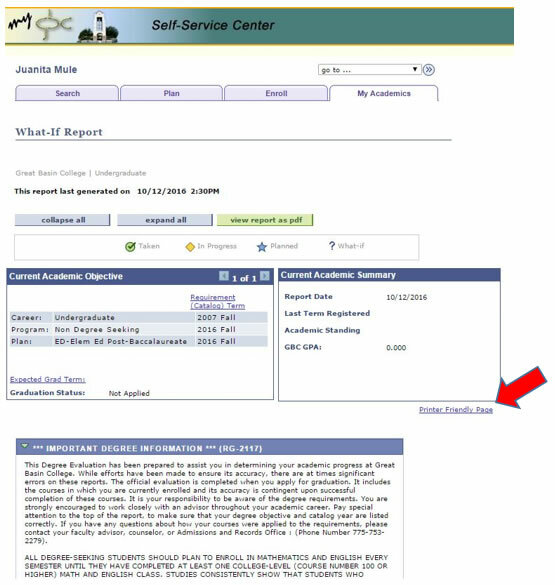 If you submitted transcripts from other colleges, your transfer courses should appear on the WHIF as well, once those transcripts have been evaluated and applied to your record. While WHIFs are a great tool, you should always meet with your advisor as well in order to avoid errors, such as taking unnecessary classes or missing a class that is not offered every semester. Have my transfer credits been articulated? How Do I Check/Change My Currently Declared Major? 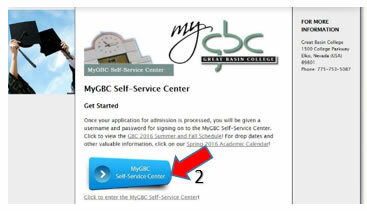 Log into the MyGBC Self-Service Center. 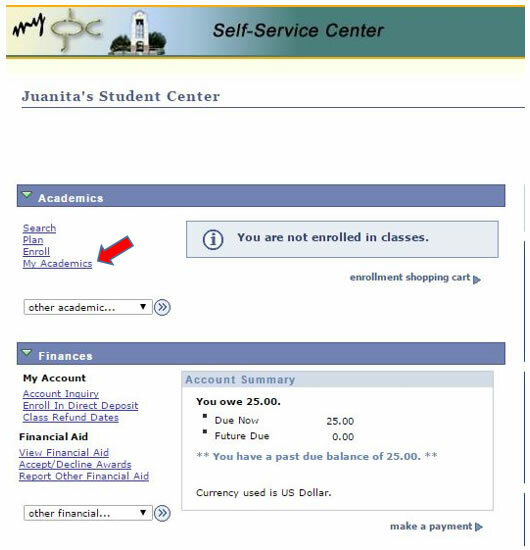 Click the Student Center button. At upper left, click the My Academics link. You'll see a blue box at right titled My Program. Your currently declared major will be listed there. It is essential that you update your degree objective when it changes and remove objectives in which you are no longer interested. 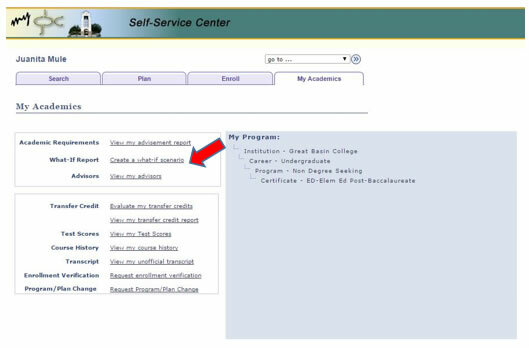 To change your major contact the Admissions & Records Office or your local campus, or request a Program/Plan Change on the My Academics page of your Student Center. 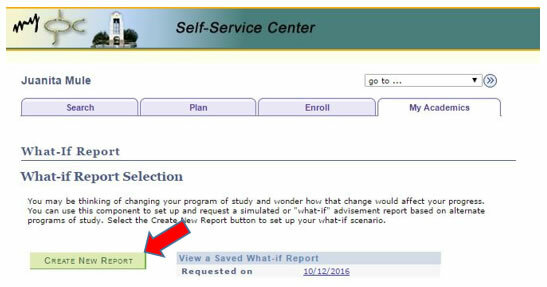 How Do I Run My What-If (WHIF) Degree Audit Report? Always select the “Printer Friendly Page” for viewing and printing. And remember: WHIFs are great, but they are not a substitute for meeting with an advisor. 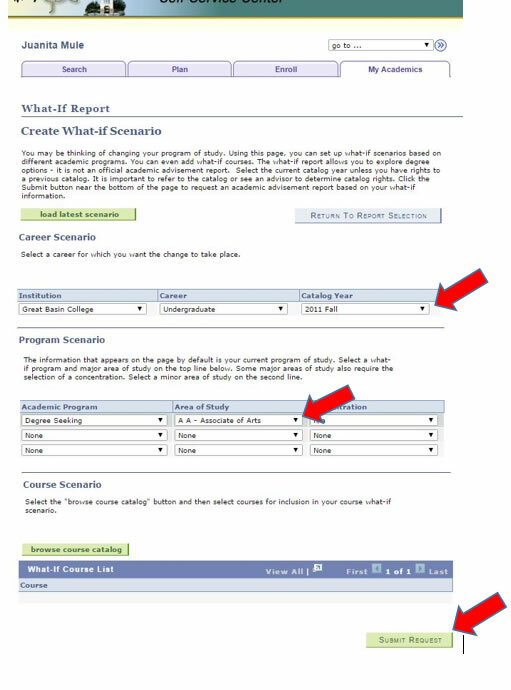 Also, if you decide you want to change your major, be sure to do it officially through the Admissions and Records Office so that your catalog year is guaranteed.